Patricia Mauldin Gilmer Tubbs went to be with her Savior on Wednesday, November 14, 2018 after a full life of service to God and her family. She was 93 years old and had lived at Given's Highland Farms, Black Mountain, NC for 22 years. Married to Ace Leonard Tubbs (dec'd February, 2015), she was the daughter of Sam Orr and Maud Elizabeth Cason Gilmer. She met our Dad while attending the Presbyterian School of Christian Education in Richmond, while he was attending Richmond Theological Seminary. It was love at first sight and they married shortly thereafter in 1946. She was the mother of five, grandmother of eleven and great grandmother of twelve, all of whom fill her life with much joy. 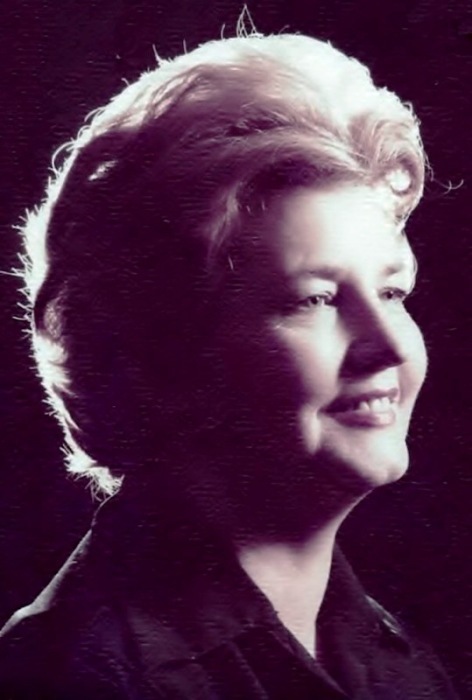 She studied vocal performance at Converse College and used her solo voice in praise to God in many churches and events throughout her life. Now her pure, lilting, lyric soprano voice is enhancing the Heavenly Choir. Her last two weeks on earth were spent singing all her favorite hymns with three of her children, and a son-in-law and a steady stream of saints (who came to her room with their own hymnals). It was a blessed and sweet time for all, including the Highland Farms Nurses and CNA's who lovingly cared for her over many years. We loved our Mama and Daddy and are grateful to God for the gift of Eternal Life. They are reunited now and forever, which fills us with joy! A family remembrance day is planned for July 4th weekend. Mama was a big supporter of her daughter's non-profit to help men trapped in addiction. If you wish to honor her, please check out williamsplace.org. Penland Family Funeral Home is honored to be caring for the Tubbs Family.